Dr. Fangusaro joined Children’s as Director of Developmental Therapeutics in September 2018. He comes to Georgia from Northwestern Feinberg School of Medicine and Lurie Children’s Hospital of Chicago, where he was Director of the Pediatric Neuro-oncology Program. He has an expertise and specialty training in treating children with central nervous system malignancies, including brain and spinal cord tumors. His primary area of research is the development of early phase clinical trials, novel therapeutics and relevant biologic correlates in an effort to improve survival outcomes and minimize toxicities. Within pediatric brain tumors, his research has focused on three main areas: low-grade gliomas, central nervous system germ cell tumors and early phase clinical trials. He is a member of the Children's Oncology Group (COG) Brain Tumor Steering Committee, serves as the vice chair of the Pediatric Brain Tumor Consortium (PBTC) and partners with the pharmaceutical industry on investigator initiated trials. He also serves as the principle investigator on numerous national trials. 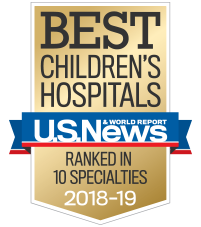 Dr. Fangusaro is humbled and honored to be working alongside the amazing developmental therapeutics and neuro-oncology teams at Children’s and Emory. He looks forward to adding to both teams continued growth on the regional, national and international level. He truly feels lucky to work with such an amazing population of patients and families who inspire him every single day.